San Francisco’s S.W.A.T. 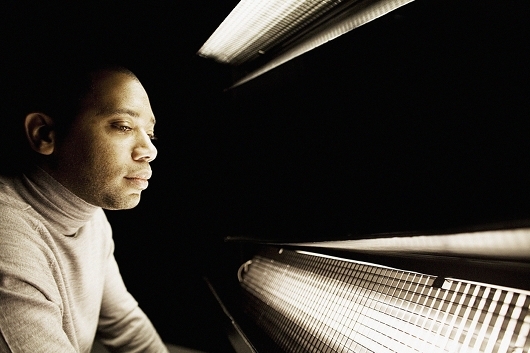 and reddot team up to bring you Carl Craig afterhours. A surprise and a pleasure… S.W.A.T. resident Nikola wraps things up nicely. As usual a superb and diverse mix from the main man Carl Craig. wasn’t really moved by this set. boring at some points. i like the second artist! would you please teach me who they are ? i correct my question below. the second artist on carl craig’s mix. thanks. thanks! i will buy the cds for sure ! great set! and great track at 52:00! Yeah, i really like this set from Carl, he always knows to play some quality tunes! And the mixing isn’t that bad either, i had heard him doing some worse sets. Nice! can anybody tell me, what the first track is? piano tribal style, before talking heads? anyway: great set! looking foward to seeh c. craig this thursday in the hamburg tanzhalle…. so that’s what you’re doing while workin at mdr, jass. the track you’re searching for sounds real hot actually. looking forward to hearing it on the 26th of june at palm beach… 🙂 cheers! Excellent music. Needs to practice mixing though. Has anyone an idea which track is played at 49:00? yeah, keeps me hanging too my speakers!! lovely tracks, Thank you CC !! Cheers J! I like what your bringin to the table .. a spicy dish with many flavors. Well done. Hello everybody! I’m looking for the name of the 4th track (african style). Help me please…. Paco vegas. !!! !Betalounge RULES!!!! I think the fourth track is a remix of a reggae track from the 200% Dynamite Compilation Album. BAYta lounge does it again,I seen Nikola at 1015 when Felix da house cat was playin,that brotha is bad.Nice funky elektro/house stuff.Makes me wanna bone tha speaker….foreal. alex moire wrote: oh my dear betalounge, … since a couple of week i am playing that song from 01:20:00 – 01:25:17 in loop… can please anybody help me to get to know that artist who did it … so that i can spent my little income on bying it on vinyl … you rock! thanks alex does anyone know that track???????? please!!!! The track around 1:23 is Spectrum: Kinda New (Tiefschwarz remix) And I think it’s on Playhouse. Juno.co.uk might have it on vinyl.. Tore. For paco and watkinm, the reggae track that comes after the Moxie edit of Talking Heads is a bootleg of ‘Funky Kingston’ by Toots and the Maytals. The bootleg is by a UK mob called Street Choir – shouldn’t be too difficult to hunt down. The latin broken beat track after it is by Rima/Domu on Compost, btw. For Jass, the track at 1.12 is Aaron Carl Down. Its an old track, but Doc Martin put it on his Sounds you can feel mix on Classic. Anyone got any ideas about the track just before the one hour mark 54 mins to about 59? That thing is a monster. Also, any help on the track from 1.34  starts with all this skittery percussion  to 1.38? Anyone? Beuller? Hi I love this set by Carl Craig. Can anyone identify the track being played around 39 Minutes? It´s the track after his remix for Directions. This track is amazing. Rockin out while I work!!!! LOVE IT!!! the japanese vocals are Spektrum – Kinda New (Tiefschwarz Remix) this set features also stuff like (in no particular order) Aztec Mystic – Aguila, Tres Demented – demented (or just crazy), theo Parrish – Falling Up (C2 remix), Aaron Carl – Down, Dj Sneak – Way Of Life, etc. etc. etc. derjann :: Jun 6, 2004 :: 5:41 PM hi there, could anyone id me the track at 1:12 and this before. great set of carl. thx jass ——————– That would be ‘Down’ by Aaron Carl. Available on the Doc Martin ‘Sounds you can feel’ LP on Classic records from a few yrs back. At least that how i own it. truly a wonderful stretch of sound! @lanoiraude.. the track around minute 56 is theo parrishs falling up, i think even the carl craig remix.. I still remember that night like it was yesterday. Hot damn that music is fantastic!!! I want my 2 dollars!!!! Holy Crap, This set had me excited right from the start with the talking heads remix, followed by the melodic soul jazz funk house music that really made me very pleased with Betalounge, thank you gentlemen, you have done it again!! What an awesome set. Does anyone know the track at 39 minutes (“They’re coming out” sample)? Also, what is the track just before Spektrum? Thanks. dam, its been 2 years since I first listened to this mix…..still lovin it! 39 min is quite a memory… such a great trip..
nice chill warm up session poppin off …. Boo Williams live @ Staple with Translucent(trumpet) 05/27/00 ? ?